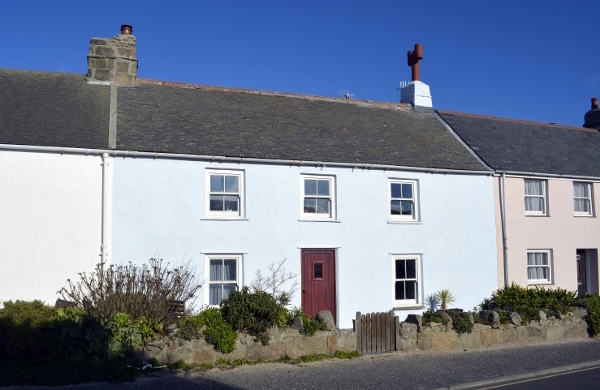 This traditional double-fronted granite cottage possesses a wealth of character and enjoys a southerly aspect overlooking an attractive park. Tean sleeps two guests in a upstairs double bedroom, which is approached by a narrow wrought iron spiral staircase from the lounge. The bright lounge oozes character, with its exposed beams and inglenook fireplace, and leads on to a well-equipped kitchen/diner. A modern bathroom with over bath shower is also on the ground floor and there is the use of a shared utility room equipped with washing machine and tumble dryer. The cottage also benefits from an enclosed paved front yard, which provides a pleasant seating area. Tean is is conveniently located for shops, pubs, restaurants, the quay and beaches, making it a popular choice with returning guests.